I have reordered this bag twice and never had a problem with the print, the construction, or the customer service we receive from custom earth promos. Good product, the sewing of the corners and edges is done well. The cotton material has a nice feel to it. Cute bag, I love the eco-chic look to it... We use this at my salon for our customers who buy hair products from us.. The imprint quality is impeccable.. I was worried about this as I have had our logo (which is tricky alot of colors and design) printed on cotton t-shirts before and some did not come out well.. But on this bag it did come out good, I would not be concerned about the print quality of your logo/image on this bag, it is of quality for sure. High quality yet affordable! Our bags look amazing. So excited about these bags! They look absolutely amazing! Such a great bag! Our logo is highly visible, you can't miss it. Great for business exposure! I ordered these bags for a trade show and they were a big hit. Thanks CEP! Really durable bag. Log lasting & high quality. These bags are so durable! They last for years. I highly recommend these bags! They are super affordable and look great! Stylish eco-friendly bag and we got these bags at a very affordable price. Our order came in exactly how we expected. I would reuse this company and order this product again. We purchased this bag to handout to all customers for thanksgiving who bought a turkey from us. All who received the bag where very happy with the product. We offer this as a reusable bag at our grocery store.. Customers often buy this bag a lot because it says "Eco-green earthy" on the very natural looking bag. It is a very nice bag to have as one of the reusable bags you offer. We always re order it. We ordered a ton of this model. The bags are very lightweight and store away easily. I would recommend going with this model. 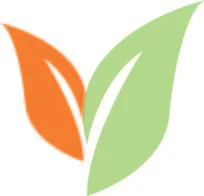 It was great to work with them I always use them for my reusable bags. Products always arrive on time and in the shape we designed them.. I highly recommend using CEP for any of there bags. I have placed 3 orders with them to date one of them being for this bag and all have come out great. good construction and good service received from there designer and whole staff in general.. Very cool eco-friendly bag. I suggest this model CR13.. We were very happy with the result. Quality product and quality service from them. I highly recommend this website. This bag was perfect for our attendees. Custom earth promos came through in the clutch for us with a expedited fabrication and delivery for us and the bags came out great. This bag has served us well from a green and advertising standpoint. I recommend this to any company or organization who wants to put their brand logo on an eco-friendly item that serves a function. Custom Earth Promos brings you a collection of minimalistic, stylish, and practical Wholesale Cotton Cooler Bags. These bags are designed to provide more exposure to businesses, with its high level of imprint visibility. 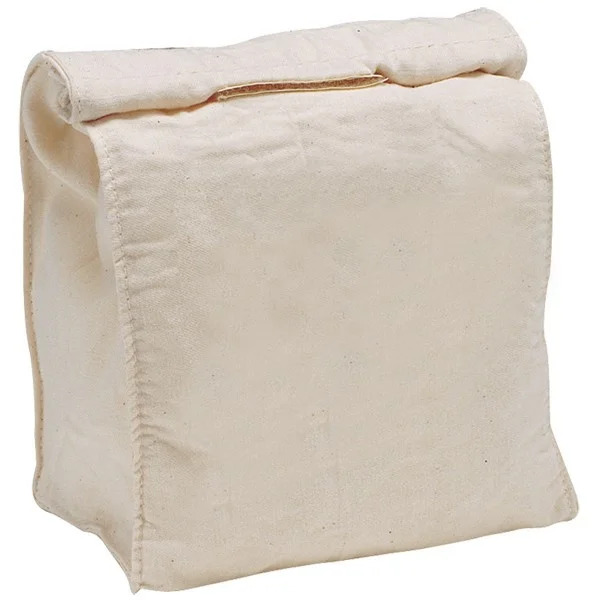 The collection of Wholesale Cotton Cooler Bags from Custom Earth Promos is the solution to your marketing needs. Parents are always looking for affordable, high-quality school supplies for their kids, and by giving these lunch bags away for free, you can ensure you are improving the exposure of your company. These cooler bags are eco-friendly and practical, and your customers will appreciate your brand's environmental awareness. Our bags aren't limited to promoting just a few types of businesses though. They are highly popular with businesses like departmental stores, stationery and school supply stores, book stores, and more! Since Custom Earth Promos supplies directly from the factory, our prices are among the lowest in the industry. These bags are made from 10 oz. of natural cotton, which is safe for the environment. The material is AZO-free and processed using eco-conscious methods, making the bags more eco-friendly than any other lunch bag out there. Your customers can reuse these bags for several years because the material is extremely durable. It is also strong enough to withstand heavier contents for long periods of time. Stains and smudges can easily be washed off from these bags, as the material is light and soft. The bags come in a convenient size of 6.5" W x 11" H, which can be used to carry bigger items. Velcro closures on these bags prevent the contents from falling out and getting damaged. All the bags in this collection come in a natural beige color to enhance imprint visibility. By ordering from our custom production facility, you can also select the bag color to match the exact PMS color you want. Attractive designs and custom logos are imprinted on these bags through a high-quality printing process that doesn't release any harmful chemicals into the environment. Additionally, we carefully test all our products to meet the California Proposition 65 guidelines and to ensure they don't contain hazardous additives. With the help of our custom production factory, we give you the ability to choose from a wide range of customization options. Choose from an extensive collection of pre-designed graphics and stock images to create a one-of-a-kind design, and we will deliver the finished product to your doorstep on time. There are four available printing processes: screen print, permanent press, transfer print, and perfect print. The experts at our factory can also stitch the logo onto the Wholesale Cotton Cooler Bags expertly and beautifully. You can even get the imprints done on both sides of the bags to ensure an increased visibility.